This blender is the best! It took me many years to splurge on this beauty, and I've never regretted it. 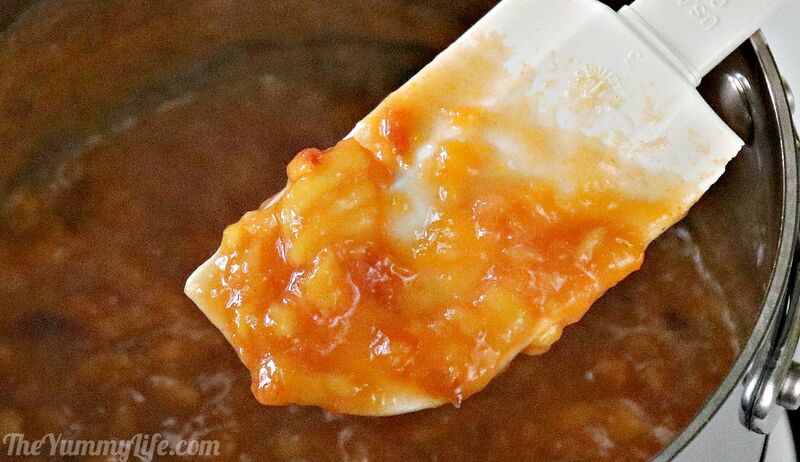 This peach sauce is blended in seconds. This is my go-to mixing bowl. Love the handle and lid for fridge storage, when needed. It's microwave safe, and has plenty of room for the sauce mixture to expand when it heats up. 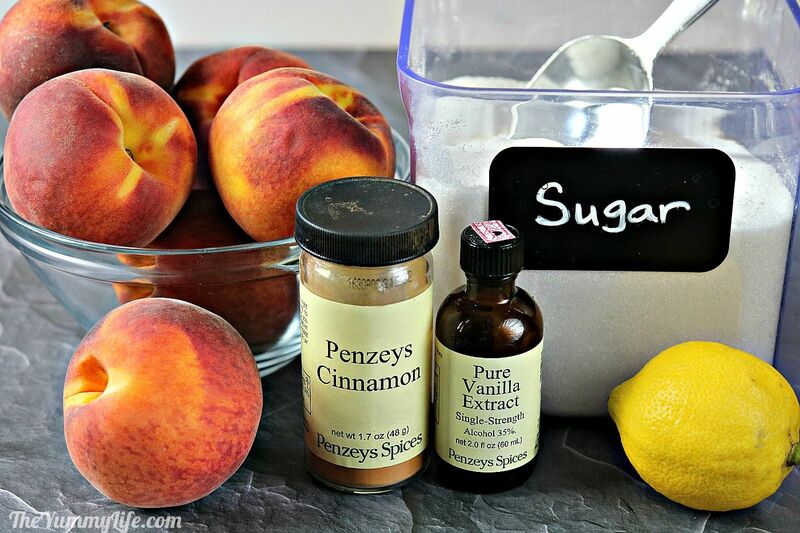 A 10-minute, low-sugar topping for ice cream, pancakes, toast, shortcake, cheesecake, and more! A blender makes this versatile, low-sugar sauce quick and easy to make. Serve over ice cream, pancakes, waffles, yogurt, cheesecake, shortcake, sliced pound cake, or grilled meats. *Peaches may be left unpeeled. The bits of visible peels after blending the peaches will disappear into the mixture when it is cooked. The peels add color to the sauce, too. Nevertheless, you may peel the peaches if you prefer. 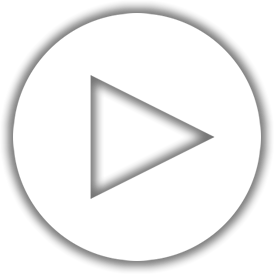 BLEND: Add all ingredients to a blender and pulse on high until desired texture (chunky or smooth) is achieved. TO COOK ON STOVE TOP: Transfer blended peach mixture to 2-quart sauce pan, heat on medium heat until simmering, continue to simmer for 5 minutes, stirring occasionally. 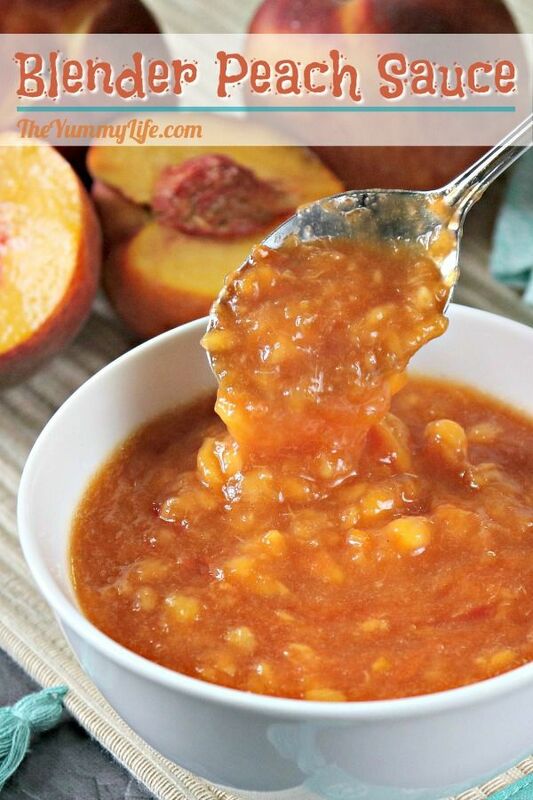 TO COOK IN MICROWAVE: Transfer blended peach mixture to microwave safe 1.5 to 2-quart bowl. Microwave on high power, uncovered for 5 minutes, stirring half way through. COOL AND REFRIGERATE or FREEZE: Allow cooked mixture to cool uncovered on counter for 30 minutes, then cover and refrigerate. It will be good in the refrigerator for up to 2 weeks or the freezer for up to 1 year. Before serving, bring to room temperature or heat slightly in microwave. Serve over ice cream, pancakes, waffles, yogurt, cheesecake, shortcake, sliced pound cake, or grilled meats. Spread it on toast, bagels, or biscuits. Mix it into yogurt or smoothies. Shake with your favorite liquor and strain over ice for a peach cocktail. 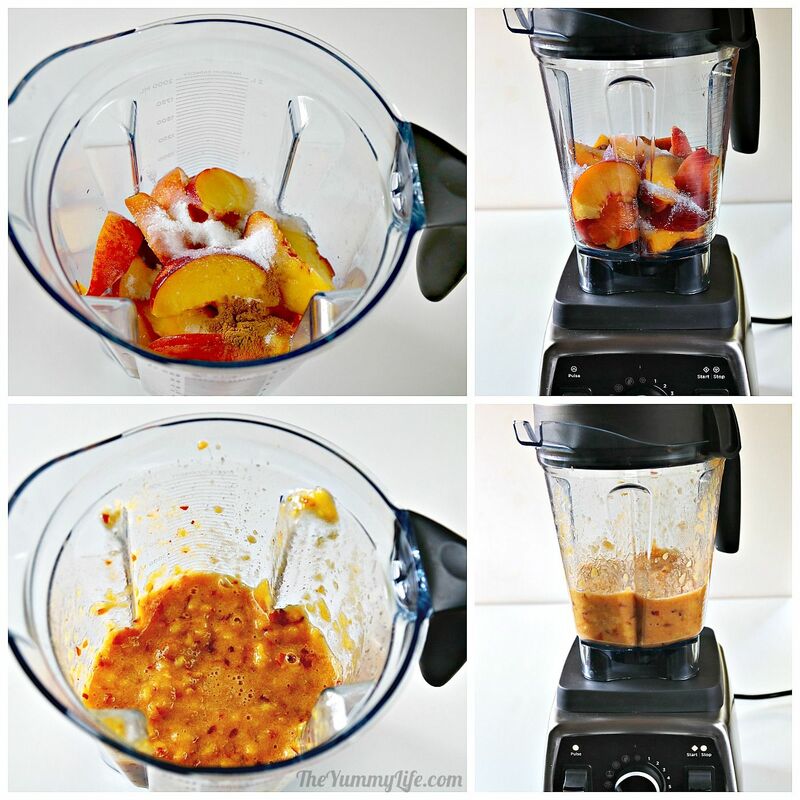 FOR PEACH BERRY SAUCE: Substitute 1 cup of berries for 1 of the peaches. This is a low-sugar recipe and is not suitable for canning that is shelf stable. There's a lot to love about this recipe. It's quick and easy! 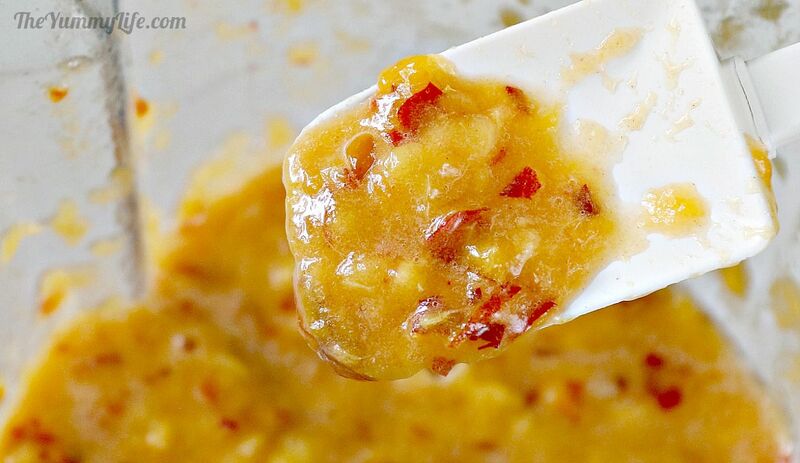 Throw everything in the blender, give it a whirl, and then simmer it on the stove top or in the microwave for 5 minutes. Done! I don't even bother to peel the peaches. The peels disintegrate into the mixture when it cooks and you can't even tell they are there. In fact, the peels give the sauce more healthy fiber and a richer color. Step 1. Assemble the ingredients. Step 2. Wash the peaches well, then pit and slice them. 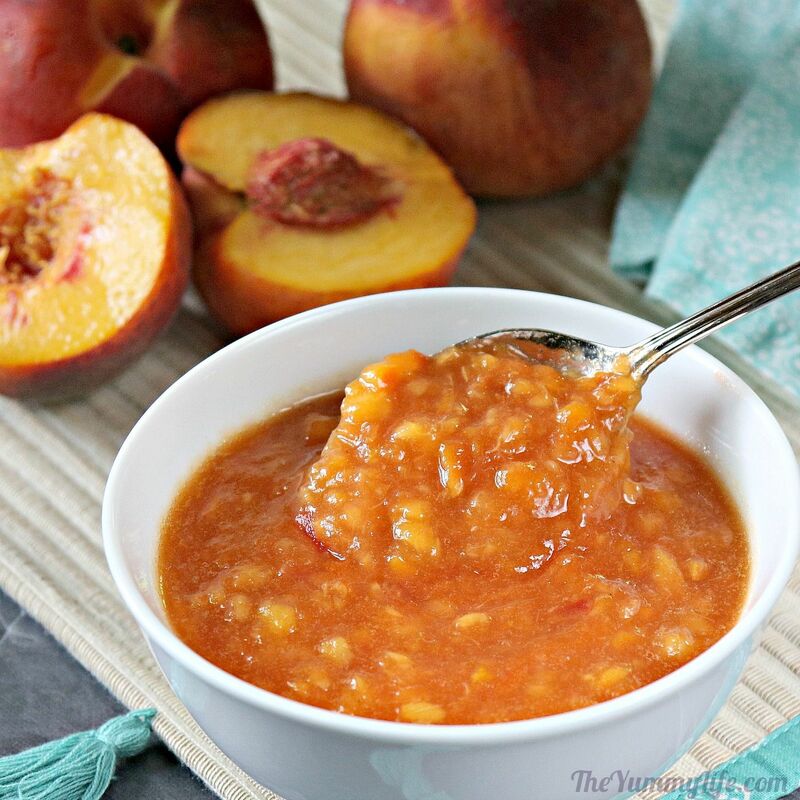 There's no need to peel the peaches--you won't even know they are there in the finished sauce. Nevertheless, you may peel the peaches, if you prefer. 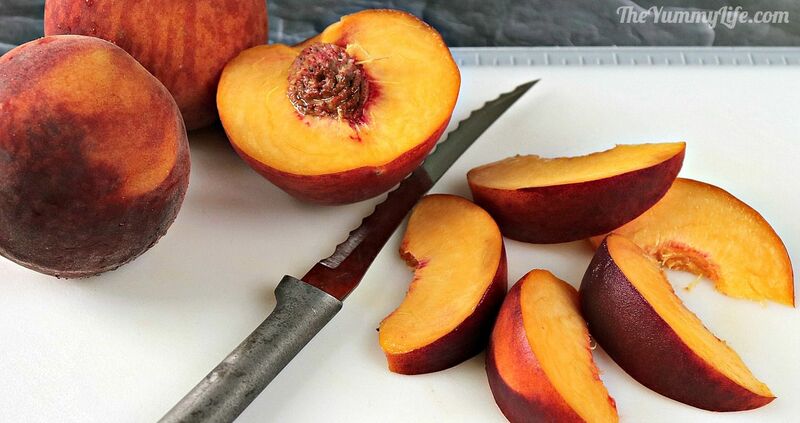 If you use frozen peaches, they are likely to be already peeled. No worries, peeled or unpeeled peaches both yield a delicious sauce. Step 3. Add all of the ingredients to a blender and pulse on high until desired texture (chunky or smooth) is achieved. I prefer mine a little chunky for a more rustic sauce. You can see in the photo below the little bits of peel after the raw peaches are blended. They will soon disappear when the mixture is cooked. Step 4. Cook the mixture on the stove top or in the microwave. Here's how. 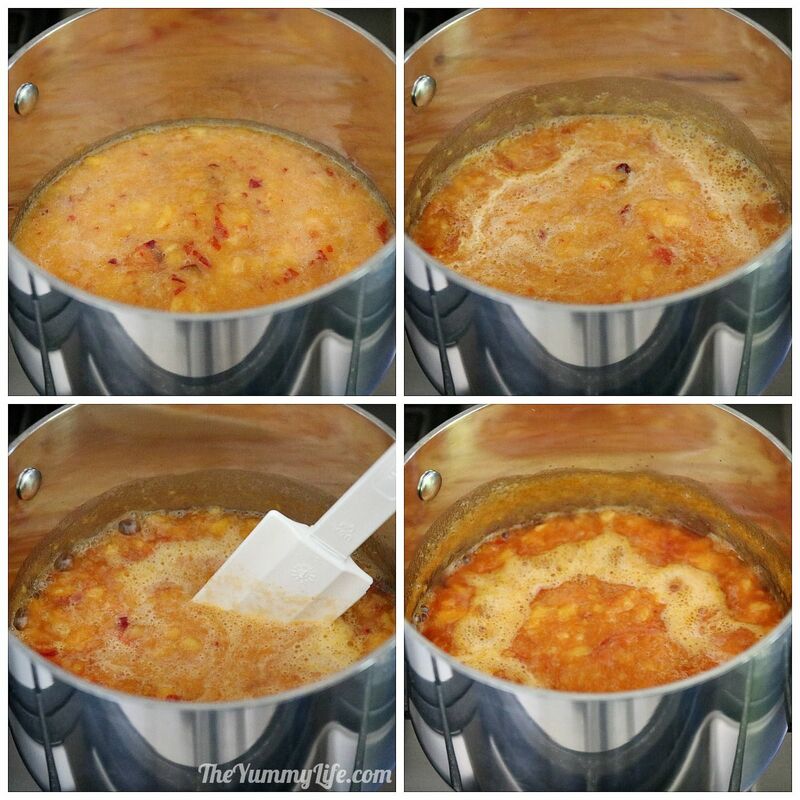 STOVE TOP METHOD: Transfer blended peach mixture to a 2-quart sauce pan, heat on medium heat until its at a low boil, continue to cook for 5 minutes, stirring occasionally. The mixture will thicken and deepen in color. (It will thicken even more as it cools.) If you look hard enough, you can just barely see a few bits of cooked peel, and they soften completely so they melt in and don't change the texture of the sauce at all. That's it! Easy, right? 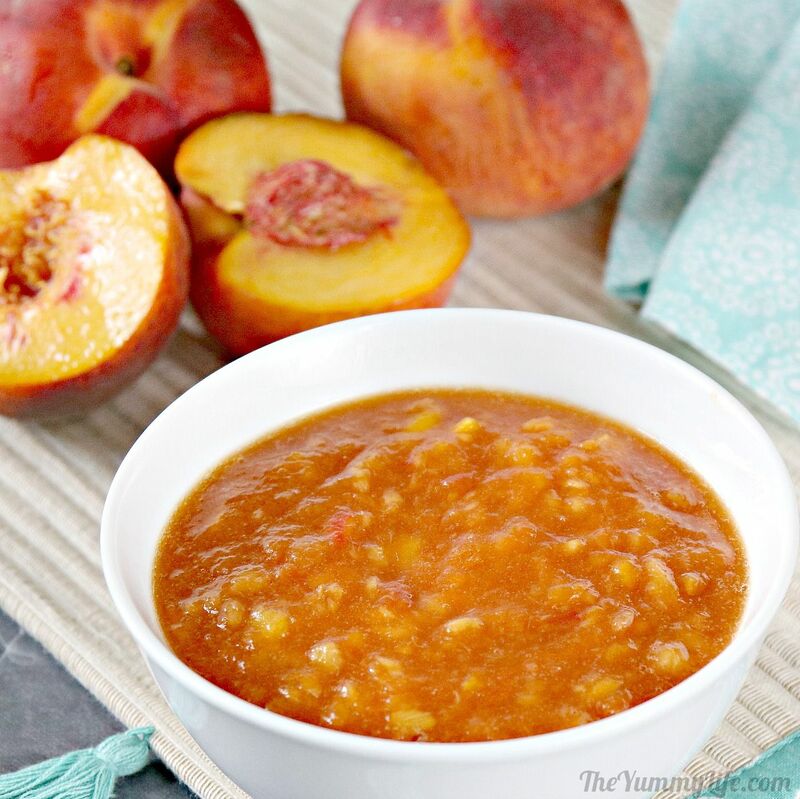 It is so flavorful and, well, peachy! Step 5: Allow the cooked sauce to cool uncovered on the counter for 30 minutes, then cover and refrigerate for up to 2 weeks. I store mine in mason jars for refrigerating or freezing. TO SERVE: Before serving, bring to room temperature or heat it slightly in microwave. 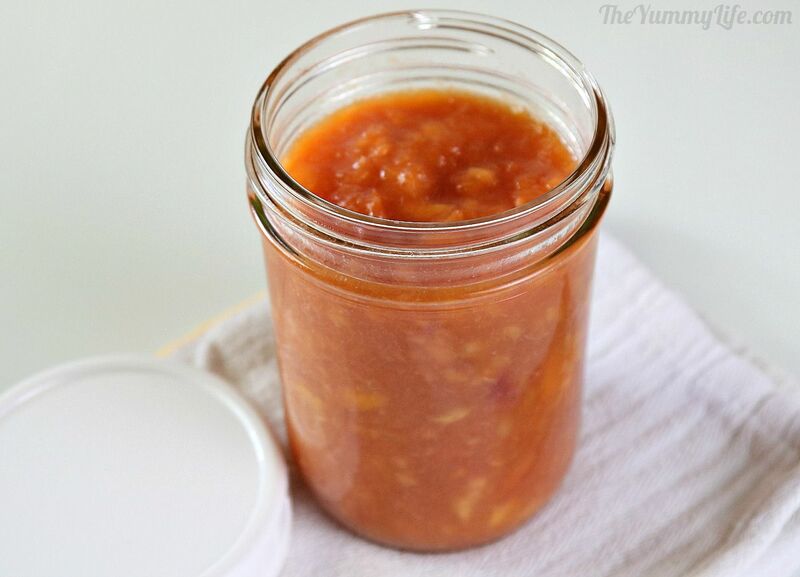 My favorite uses for this sauce are as a topping for my Smooth and Creamy Vanilla Bean Ice Cream or cheesecake and as jam on toast and biscuits. Yum!